This Court previously affirmed Rosario’s sentence. Rosario v. State, 122 So. 3d 412 (Fla. 4th DCA 2013). The Florida Supreme Court quashed our decision and “remanded for resentencing in conformance with the framework established in chapter 2014-220, Laws of Florida, which has been codified in sections 775.082, 921.1401, and 921.1402 of the Florida Statutes.” Rosario v. State, 41 Fla. L. Weekly S113, 2016 WL 235776, at *1 (Fla. Jan. 20, 2016). and mandatory minimum terms were to run concurrently. Later, the court entered a supplementary sentencing order providing that the sentence for certain of Rosario’s charges were subject to review after twenty years but excluded the home-invasion conspiracy charges from review. The Defendant was sentenced to 25 years in the Florida State Prison on Counts 1,2,7,8, and 12. The 10 year Firearm mandatory minimum continues to apply to Counts 7, 8, and 12. Pursuant to Kelsey v. State, 206 So. 3d 5 (Fla. 2016) the Defendant shall be entitled to judicial review of these sentences after 20 years regarding counts 1,2,7,8, and 12. After we struck the brief, Rosario filed a second motion to correct his sentence in the circuit court. The circuit court ordered the State to respond to Rosario’s motion, but the State failed to do so. Ultimately, the motion was deemed denied because the circuit court failed to rule within sixty days. See Fla. R. Crim. P. 3.800(b)(2)(B). 1 Anders v. California, 386 U.S. 738 (1967). 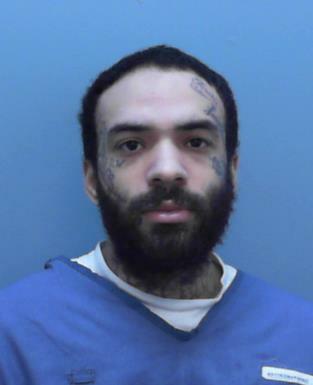 After the circuit court denied the second motion to correct, Rosario returned to this Court and now argues “[t]he ten-year mandatory minimum terms imposed for conspiracy to commit home invasion robbery with a firearm (counts VII and XII) must be stricken from [his] sentence because they are not statutorily authorized.” The State concedes that the ten-year mandatory minimum terms of Rosario’s sentence are illegal. See, e.g., Tooley v. State, 675 So. 2d 984, 985 (Fla. 5th DCA 1996); White v. State, 657 So. 2d 1223, 1223 (Fla. 5th DCA 1995); Kennedy v. State, 564 So. 2d 1127, 1129–30 (Fla. 1st DCA 1990). Outcome: As a result of the State’s proper concession of error, we remand for a ministerial sentence correction—to strike the ten-year mandatory minimum terms imposed on Counts VII and XII of Rosario’s sentence. Resentencing is not required, and Rosario need not be present for this sentence correction. See, e.g., Flores v. State, 58 So. 3d 437, 438 (Fla. 4th DCA 2011).